Asheville Bravo Concerts began as the Asheville Civic Music Association in 1932 and held its last concert in May 2012. 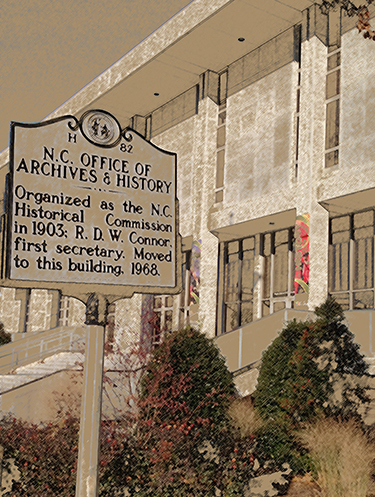 During its eighty year run, the association brought acts from all over the world to Asheville. The acts included symphonies, operas, musicals, ballets, dance companies, vocalists, and instrumentalists. This collection contains correspondence, organizational materials, concert programs, original photographs, promotional materials, newspaper clippings, and other miscellaneous items collected by the association. This collection is separated into seven series and arranged chronologically either by year or by season within each series. Series one consists of general and personal correspondence from 1942 to 2002. Series two contains organizational materials, including association constitutions and membership lists, arranged by season. Series three consists of programs, some autographed, from 1932 through 2012. Series four contains original photographs, several autographed, of the acts sent to the association by promotional companies. Series five consists of promotional materials for the acts, including a few that were never booked, running from the 1930s to the 2010s. Series six contains newspaper clippings from 1932 to 2011. Series seven includes miscellaneous items such as lists of acts, an "Opera is Fun for Everyone" book, a poem praising the polka, and other ephemera. The Asheville Civic Music Association, the original name of the Asheville Bravo Concerts Association, was founded in 1932 at the height of the Great Depression. On September 16, 1932 the Asheville Citizen formally introduced the Asheville Civic Music Association to the community by announcing the organization's first membership campaign. The local banks closed during this first campaign and, though all the checks written for membership were honored when the banks reopened, the association would not have survived this lean period without the personal contributions of a Mrs. Huntington Jackson. Annual membership sales guaranteed a specific number of concerts for a season, and acts were booked only after the association collected all of the money. This way, operating expenses remained low and the community benefited from the association's cultural offerings. The association's staff was composed solely of volunteers. At the time of the first membership drive, there were few entertainment options in Asheville. Memberships for the association grew steadily until they exceeded two thousand and, for many years, membership fees underwrote the entire budget. At the beginning of the 1961-1962 season, the association changed its name to Asheville Community Concert Association. This change reflected the association's change of affiliation from Civic Music Service to Community Concerts, Inc, a division of Columbia Artists. During the early 1990s, the Program Committee for the association began looking at acts outside of those offered by Community Concerts, Inc, and booking some acts through other agencies. In the late 1990s, Columbia Artists sold their Community Concerts division and demanded that the association either use acts from Columbia Artists exclusively or drop the "Community Concerts" from their name. The Board eventually decided to adopt the name proposed by John A. Bridges, and launched a publicity campaign in 2001 to introduce the new name: Asheville Bravo Concerts. In 1997, the association opened up its concerts to individual ticket-holders as well as season subscribers. Though still a non-profit organization, the association acquired offices in Pack Place and included a full-time Executive Director and a part-time Marketing Director on its staff. During the early 2000s, the association began experiencing serious financial difficulties. Major budget shortfalls occurred during the 2005-2006 season, with season subscriptions providing only thirty percent of the operating budget. In an effort to drum up more support, the association expanded its programming. In addition to the traditional five concert season, Asheville Bravo Concerts began sending visiting performers into local schools and offering subsidized tickets to students. The board, once reputed as the most prestigious non-working Board in Asheville, began working hard to select concerts, raise funds, and to organize education and outreach opportunities for the community. Despite these difficulties, the association continued to book high-quality acts for several more years. Asheville Bravo Concerts decided to close in 2012 due to increasing financial difficulties, thus ending its eighty year run. The Asheville Bravo Concerts Collection consists of correspondence, organizational materials, concert programs, original photographs, promotional materials, newspaper clippings, and other ephemera collected by the association.